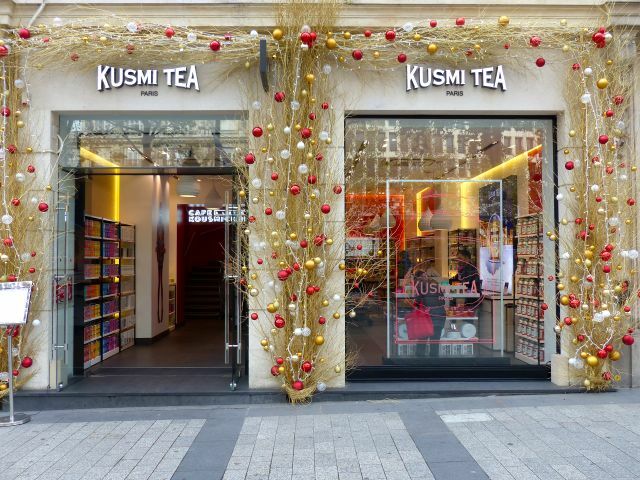 First up, a snazzy, relatively new, I think, Kusmi tea shop on the Avenue. We stopped to pick up a few cans or bags of tea, and noticed they had a chi-chi tea salon on the second floor as well. 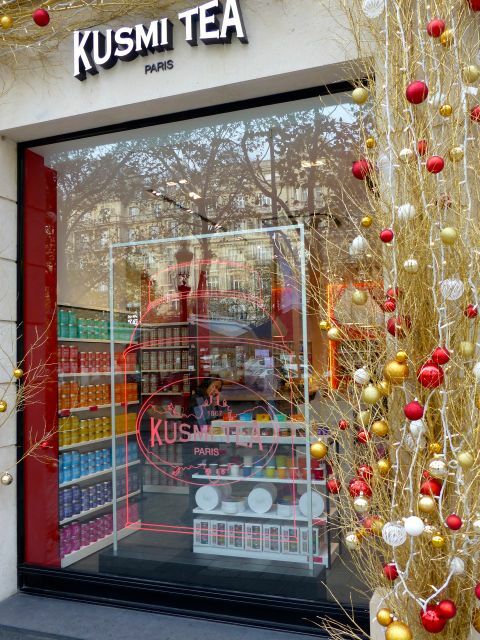 I first wrote about Kusmi while on a visit to New York, where they have a branch, and Mrs. MM seems to like several of their flavored teas. This shop had the same sparse aesthetic, but was much bigger and better stocked than the New York outpost. 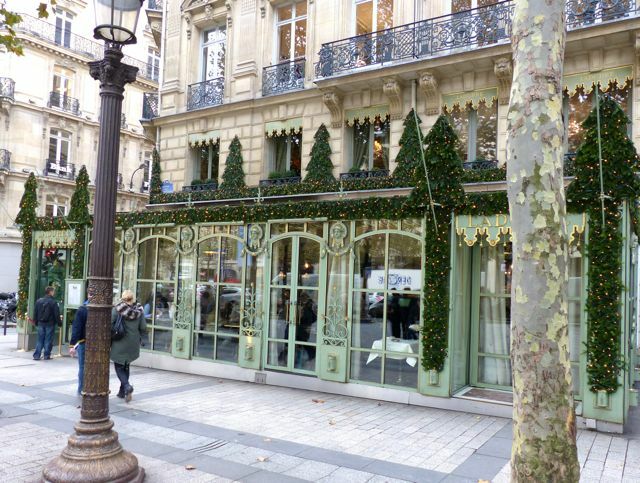 But we were really headed to Ladurée, which has a beautiful shop just a few meters away. 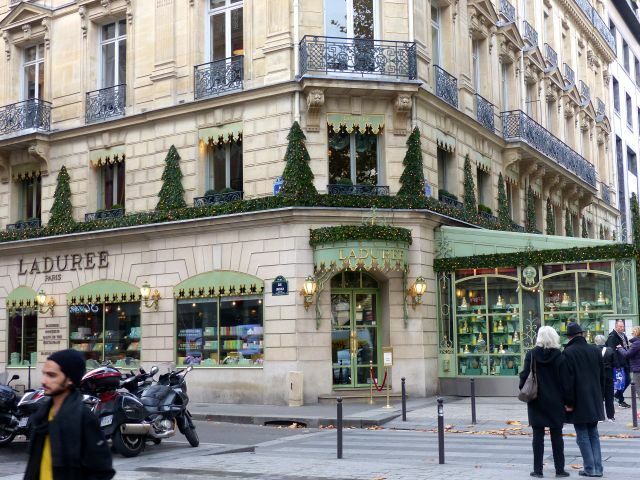 Our family had our first memorable stop at this exact same spot when the Kid was just 6 or 7 years old, and we went to town tasting Ladurée’s various macarons and pastries. 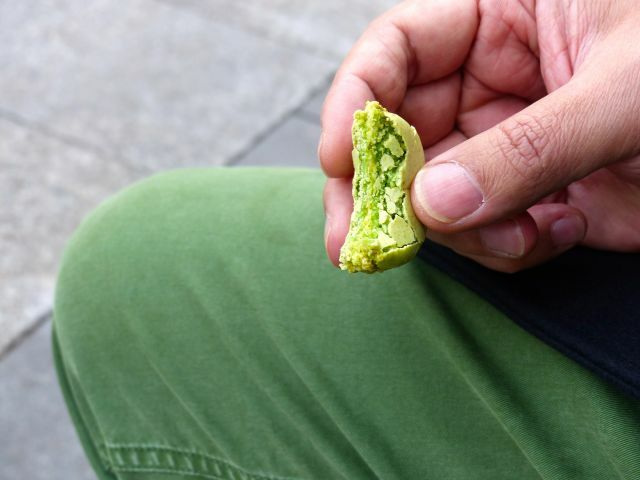 I featured them again as part of a macaron run-down on a trip to Paris some 4-5 years ago, here. 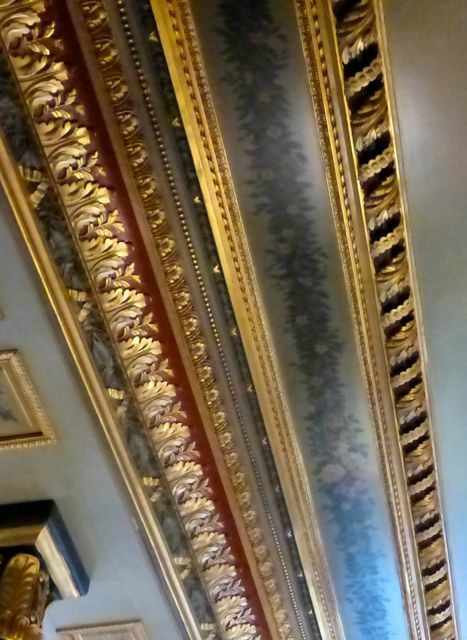 …that are painted and probably gold-leafed or at least painted! 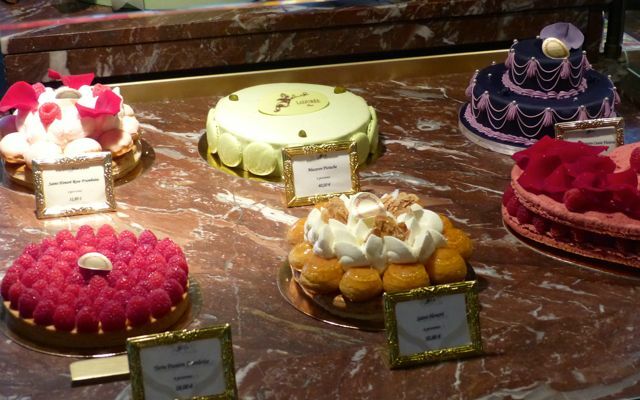 The cool marble counters are chock full of the most beautifully decorated cakes and pastries. They could really almost qualify as “works” of art. 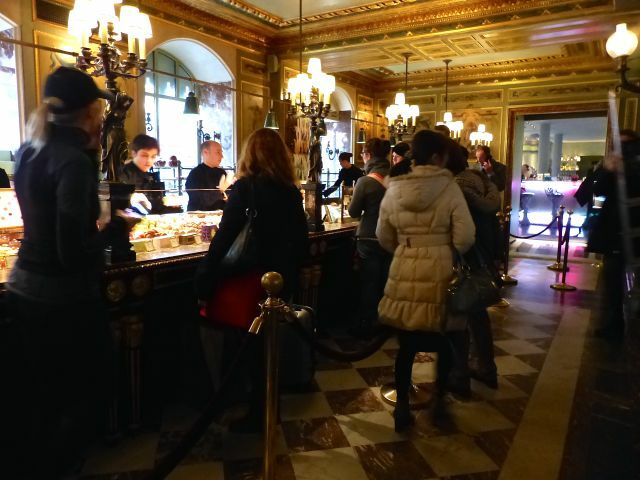 I am always wary of desserts that just look too precious, but everything we have had at Ladurée in the past has always met high expectations. These cakes ranged in price from Euro30-45 or so, roughly PHP1,600-PHP2,000+. I have never tried a whole cake, but have had several of the individual sized pastries in the past. Compared to some of the prices we would come across in London a few days later, these actually seemed almost reasonable by European standards! 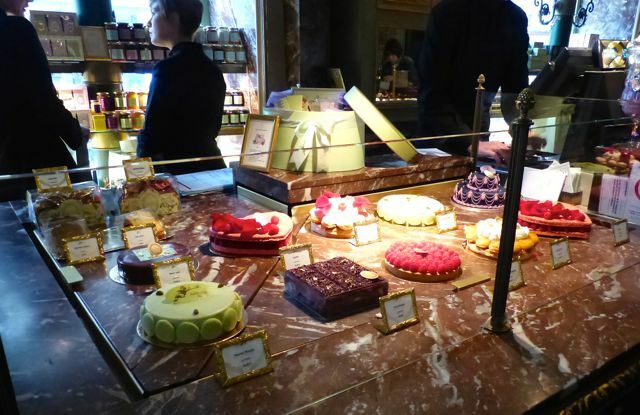 IMO, Pierre Herme is better than Laduree; flagship store near the apartment that you stayed in. 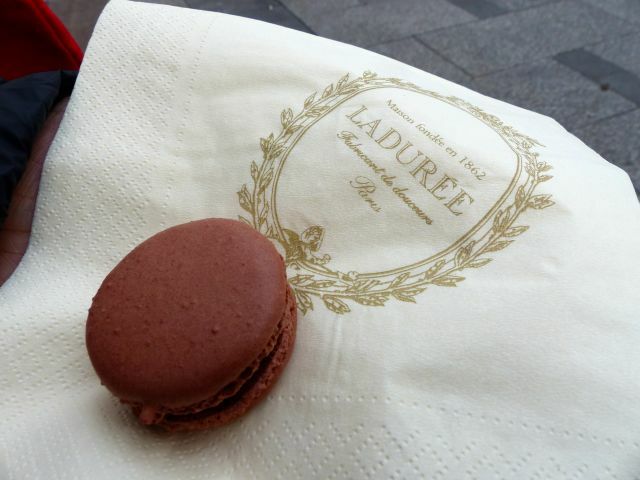 I didn’t care for either Pierre Herme or Laduree! Or Sadaharu Aoki! 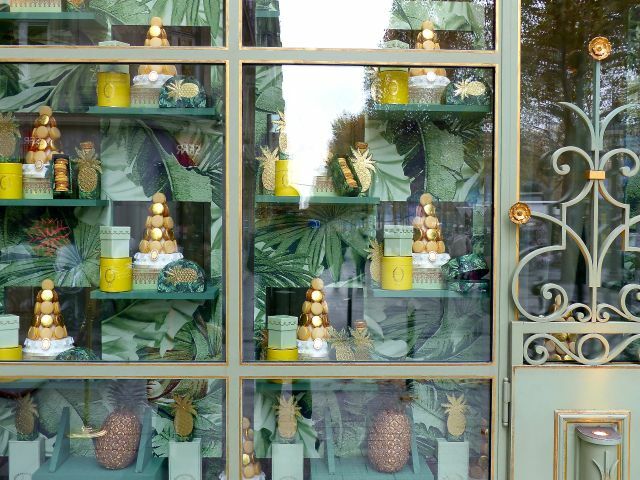 But when Henri LeRoux has macarons, mmmmm…. or his cbs tart! You’d have to wonder why the french aren’t fat given how accessible these sweets are to them.